Is Hair Shedding Normal? Here’s what you need to know. As you run your brush through your marvelous mane, you notice some of its beloved members suddenly detached from your head and tangled in your brush. What do you do? I promise. I can explain. It’s normal. Hair shedding is part of the hair growth cycle. Your hair follicles have a growth stage that lasts anywhere from 2-8 years. When a follicle’s cycle is complete it will stop growing for a few months and eventually fall out. You lose more hair than you think…and that’s normal too. 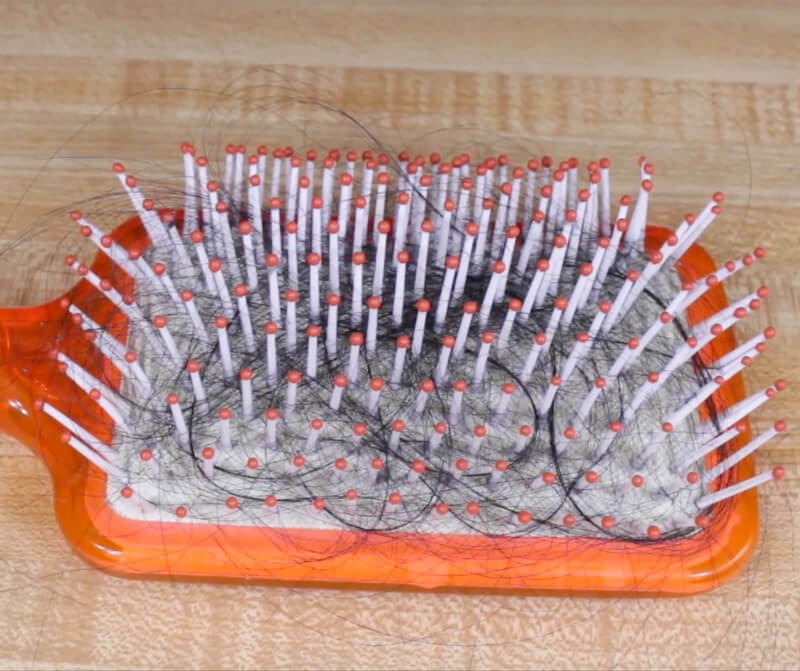 You may lose up to 125 hairs per day, and that’s perfectly normal. Just how much hair is 125? More than you might think. But it’s not all unicorns and rainbows. There is something much worse than shedding. Shedding isn’t so bad (assuming you are not excessively shedding), but you know what is bad? Why? The hair shaft is actually splitting and you are stuck with a short, unhealthy hair that will look awful and take years to grow back out. With hair shedding, you lose a hair, but a brand new healthy one will grow back. With breakages, you are losing a perfectly good hair that was still in its growth phase, and the process will be long and ugly to restoration. So try to avoid breakages at all costs. When it’s time to panic. Actually, don’t panic, because stress and anxiety can be a major cause of excessive hair loss. If you think you are experiencing shedding that exceeds 125 hairs per day, it’s best to eliminate stress, get plenty of sleep, and live a healthy lifestyle. Your body’s health affects your hair more than you may realize. Relax. It’s all going to be fine. Get the full breakdown on hair shedding, breakage and how to keep your mane from ending up in your brush, with guest contributor El Valiente. If you did, make sure to subscribe to The Longhairs YouTube channel. If you want to see more videos from me, you can check out my channel where I make weekly tech videos here. 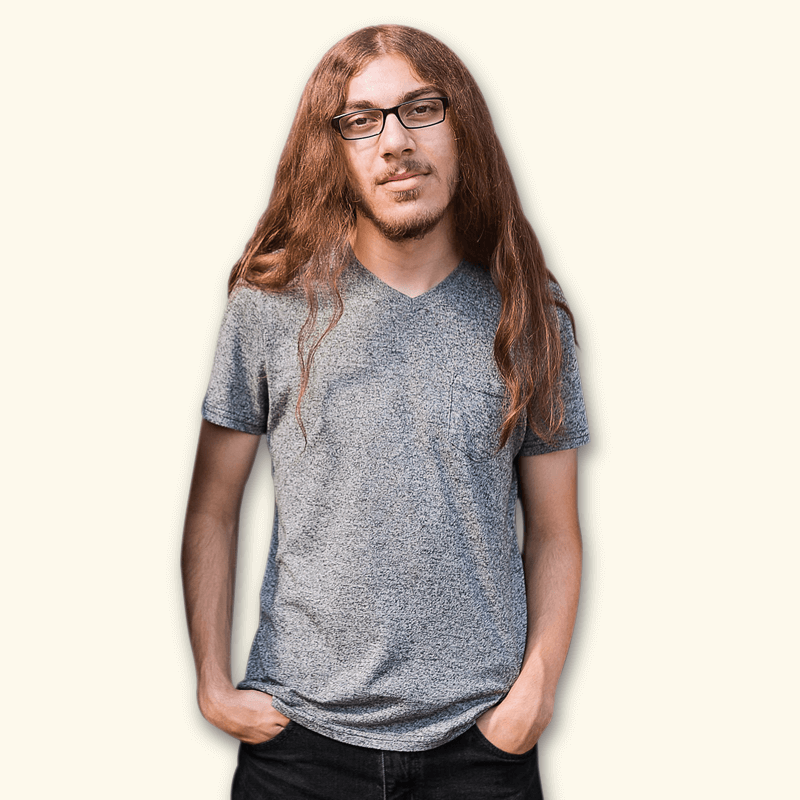 El Valiente (aka Christian Taylor) is a journalist, drummer, and YouTuber with a passion for all things tech. You can find his tech blog here. You can also check out his band here. Good job! Who was flying the drone? 🙂 Nice to know that “eating for my hair” was a good idea after all. My brother helped me out with the drone piloting. Love your content and honest upfront discussions. Great article El Valiente! Some very good advice here. I would like to add to this, that what is more important is that any hair that is “shed” is growing back healthy: This is mostly down to healthy lifestyle and proper haircare routines as you demonstrated in your blog/video. As a veteran of longhair for 20+ years, now in my 4th decade of life, I am posting this comment for the benefit of any older longhairs here (or those with early MPB in their genetics that want to keep the flow intact for as long as possible). Accept and embrace this genetic condition and ultimately go bare on top, or rock the “sweep over” or Skullet look (for most men this transition from hair to bare can take many years to complete). or do the Chrome Dome thing. Or learn about what causes androgenetic alopecia. According to science, a hormone referred to as DHT plays the most active role in the progressive and eventual shrinkage of hair follicles. There are medicines such as finasteride, or minoxidil that can treat this, or herbal supplements such as saw palmetto. Whilst this may not be for everyone, it is certainly exploring these options if you are in the early stages (for example Norwood 2 – Norwood 3 hairline) of this condition, and would like to keep the flow and appearance of a full head of hair, for a vast majority of men these treatments can extend the life of their hair into old age, or dramatically slow down the rate of hair loss. One of the reasons why many aging rock stars & film stars still have great hair into their 40’s, 50’s and beyond is down to using some kind of treatment (a minority of them are also lucky enough to have great hair genes, but most of them will use Propecia or similar ). This is a possible topic that you guys at the Longhairs office could cover in a future blog/podcast (if you can find any older longhairs to interview about this). I would also like to add my own personal advice on keeping long hair heathy if it is courser or curlier/wavier. I have learned that bruses and narrow tooth combs were the worst thing ever for split ends and getting hair tagled. One of the best things I ever did was to get rid of these brushes and use only wide toothed combs that are designed for use in the shower. either that or use my fingers as a comb. Using a serum or oil (such as Jojoba oil, or for those days when you want to impress someone important, the fragranced oils you guys sell on your site) will keep things under control and conditioned). Keep it flowing and keep Rockin’! Some solid advice, thanks Marc! Ah, you are totally committed now to having everyone cut off their long hair so I don’t get it. 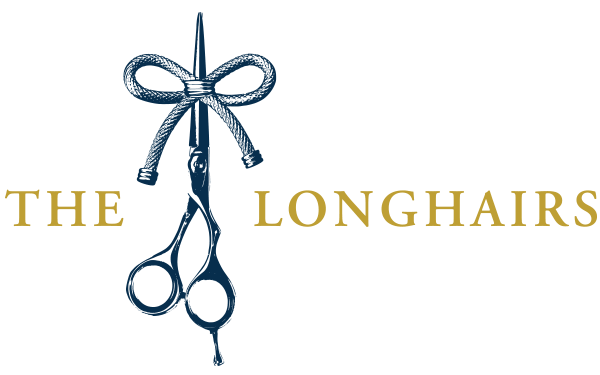 The goal of The Longhairs is to create the finest hair care products for men. Part of that goal is making sure the community knows that The Longhairs do care. That’s why they donate $1 of every order to Children With Hair Loss, and that’s why they are so passionate about The Great Cut. 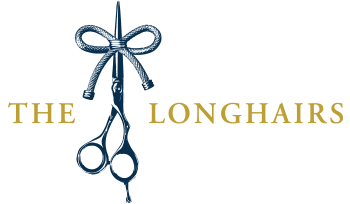 It’s a personal choice – you are welcome to keep your long locks. You are also welcome to join them if you wish! Regardless, they will still be making the best hair products for men.